Two poor rounds, two better than expected ones, and my introduction to the sport of Formula 1 -- that sums up my first season in Formula 1 so far and probably isn’t a bad way to begin my career in the pinnacle of Motorsport, even if it doesn’t feel like it after the recent race in Spain. 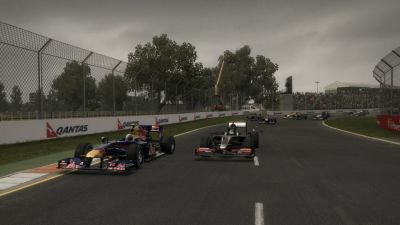 I’ve made mistakes, demonstrated my status as a rookie, and have experienced overwhelming embarrassment at my home Grand Prix, but I’ve done it alongside displays (or at least suggestions) of my talent and seemingly decent ability to adjust to unpredictable, wet weather. In fact I know I’m good in slippery conditions because I’ve excelled at handling them in other categories, but it’s nice to see that experience transfer to my career in F1, too. So what do I think so far? Well, I’m loving it! Formula 1 is so different to other categories -- perhaps exemplified by my surprise in Bahrain at how intense and exhausting it can be -- and I’m thoroughly enjoying the different approach to my driving that is required in this sport. Precision is important in any race and with any car, but the finesse that an F1 car needs has really opened my eyes to a lot of things, not least of which is why only the best drivers make it in this sport. There’s such a thin line between a successful corner or a failed one (usually resulting in a spin), such a narrow ideal racing line in order to maximize grip and thus, car performance, that driving these things isn’t just tricky or challenging, it’s unlike anything else out there. The cars are temperamental, fragile and are more like instruments than vehicles, so failing to account for that at each round will only result in disappointment, the team upset and an esclating damage bill. In other words, it’s the hardest thing I have ever done. The beauty of it all, though, is that if you treat it (the car) right you will get treated right in return, the reward being success and the result being unlike any experience -- in racing or otherwise -- you could ever imagine. But enough about that; what do I think of the tracks we’ve been to so far? 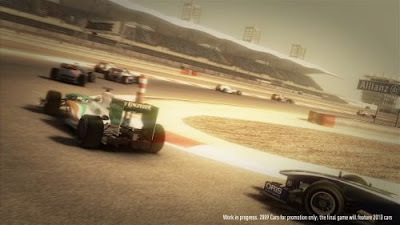 As the track to introduce me to Formula 1, my impression of Bahrain isn’t as developed as I’d like it to be. Instead of focusing on the track, its intricacies and crucial areas, I was focusing on getting a handle on my new car in a proper race environment, as opposed to testing or simulator work before the season commenced. As a rookie, I spun more than I’d like -- a theme common at every venue so far, it would seem -- and definitely struggled to come to grips with the circuit, both literally thanks to the dust and sand that was strewn about the place, and figuratively as I took the various curbs incorrectly or gassed it up earlier than I should have. Overall, my first race in Formula 1 was good -- despite the rookie errors -- as it opened my eyes up to what competing in this sport would be like, how intense it could be (that fatigue I experienced as the weekend went on, particularly in the race itself, has stuck with me as a strong example of just how different F1 is), and what was required of me as a driver for the subsequent rounds. 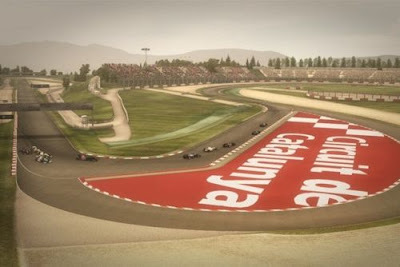 The track itself seemed to be a decent one, even if each lap felt very lonely after those initial three corners and as you drove away from the pit complex, but my mind and focus was elsewhere and, assuming I make it to a second season, I will have to wait until I return before forming a proper opinion on it. As a start to the season and to my career, however, it’s probably as good as anywhere in terms of its variety of corners and straights, so while I had hassles I appreciate the way in which it enlightened me to what was to come. As I suspect Mark Webber felt in his first race in Australia, there was an immense pressure -- probably brought on by myself -- to perform in front of the home crowd, to have a decent round and show to them that I deserve to be in Formula 1, can race as good as anyone and can become a driver they can support on the world stage. In hindsight this was probably one of the reasons for why it was such a disaster. If not, then it certainly was enough to enhance the embarrassment and make me feel like I didn’t belong in the sport. The round was terrible, I think it’s fair to say, and those rookie mistakes and race at the back -- even if perhaps expected in a back-marker team, and as a rookie driver -- was nowhere near the expectations I set for myself, perhaps unrealistically, when we arrived. It was even harder to take thanks to my familiarity with the circuit. While I had never raced on it previously, it being my local track (so to speak) ensured that I knew of it, knew its layout and how it compared generally on the world stage -- a direct contrast to the completely new (to me) Bahrain. Even so, it was a surprise when I ventured out for the first time in Practice 1 and felt as if I was having my introductory round again, due to its significant difference to Bahrain. 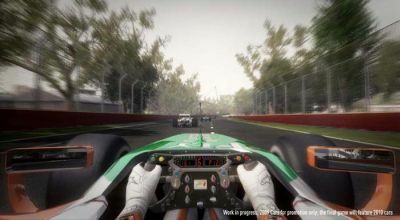 Where that circuit was long and tight, Albert Park is long and sweeping, the approach required completely different as a result. This once again opened my eyes but I adapted to it quicker, I feel, and as a result I was able to enjoy the circuit a lot more, mistakes or not. Despite the embarrassment I look forward to returning, should I remain in F1, and if I do let’s hope my experience with the car will result in a much better round and performance in front of the home crowd. A track I hadn’t been to and the first of the Hermann Tilke designed venues, Malaysia was yet another instance where I just didn’t know what to expect. It was hot and humid, weather played its part -- and on that note, became a pleasant surprise as I showed that I have skills in the wet, and that I can adapt to changing conditions quickly -- and the track was tricky to get a handle on at first, but a pleasure to drive on as I became more and more familiar with it. I ended up liking the circuit when, before the event, I wasn’t expecting it to be on my radar, and I thoroughly enjoyed its mix of long straights, unique corners and smooth flow. I still made mistakes, I still demonstrated that I was a rookie learning as I went along, but overall it was a marked improvement over the first two rounds and a lovely surprise (as far as result and performance is concerned) after some early disappointment in the season. Needless to say, I want to go back again -- let’s hope I do. 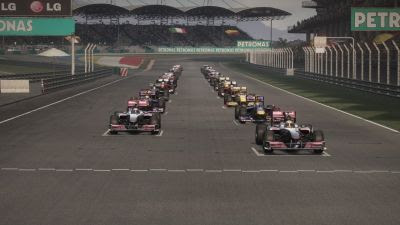 The biggest thing that stood out for me with the Chinese Grand Prix -- other than another wonderful round and an unexpected result (13th) -- was just how similar it was to Malaysia. In hindsight it shouldn’t be a surprise considering it was designed by Hermann Tilke as well, but at the time it was a small shock and I won’t hesitate to admit that it took some time to get used to, too. For the most part I was okay but it was those initial corners -- the two hairpins at the start in particular -- that were throwing me off and it definitely took longer than expected to come to terms with. 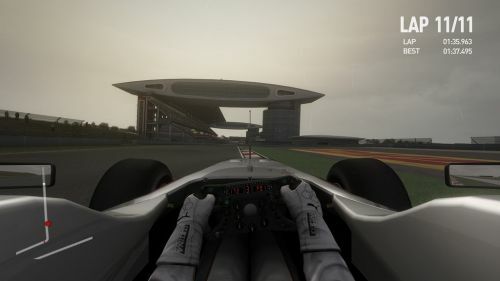 But, interestingly, it was a challenge that I really enjoyed and it gave me something unique to focus on, giving me a break from attempting to learn the distinct characteristics of the car or trying to rectify the rookie mistakes from other rounds. Those still occurred, unfortunately, but I think it was my best round of the season so far and the addition of rain was a welcome one after the surprise (that my wet skills remained) in Malaysia. I’m still recovering from the extreme disappointment that was my Spanish Grand Prix so, if I’m to be honest, I’m not entirely sure what to say. Without doubt it was the worst round I’ve had and while there are plenty more to come, the strong resentment I feel/felt towards my performance continues to sit with me while I await the next round in Monaco. It contained spins, front wing damage and issues with my fellow competitors; it featured the first retirement from a session I’ve had so far; my teammate clearly outclassed me (for the first time) despite his retirement in the race; and the race itself made me feel as if I was in another category, not to mention the strong belief that I didn’t belong in Formula 1. Now I have calmed down I realise, once again, that bad races occur from time to time -- racing wouldn’t be racing otherwise -- but at the time I was furious, upset and probably reacted to it in a very poor way, emotionally at least. Having said that the track itself is great and certainly a classic for a reason. Its undulations and tricky corners make it a nice challenge, the passionate fans that attend make it a pleasure to be a part of, and its smooth flow makes it a joy to drive. I may have performed terribly and had seemingly everything conspire against me, but I don’t blame the circuit and hope to return to it in a Formula 1 car in the future. How can I not want to when I’ve had success at the venue in the past, when I was racing in other categories? Overall my first few rounds have been quite the learning experience, and definitely a difficult ride of ups and downs. Formula 1 truly is unlike anything else and while I still need to work on my own performance in it, I can look at what has occurred so far and be proud of the fact that I’m here, racing on the world stage and amongst the best drivers on the planet. Hopefully, as each round takes place, I continue to improve and who knows, maybe one day I’ll be talking about my first Pole Position or first victory -- wouldn’t that be something?